Russians will be able to send text messages to ensure that the Vodka they are drinking is genuine. By sending the serial number of the bottle to a designated short code, they will get a response by SMS certifying (or not) the product. The project is an initiative by State run Rosspirtprom, the company responsible for the sale of 60% of strong alcohol in the country and distributor of the top brands. 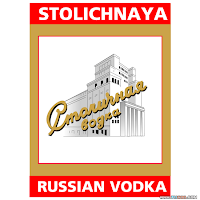 The sale of counterfeit vodka is a huge problem in Russia, not just because it hurts sales of the major brands, but because the counterfeit drinks are filled with cologne water, antifreeze liquids or pure alcohol and are responsiable for 40'000 deaths each year. This should be a great idea for China too as counterfeiting of any kinds are really a serious problem in China. Short of cloning human, the local Chinese counterfeiters have the capabilities to reproduce anything to near perfection. Another classic example sms application.